Been incredibly busy the last few weeks with the day job and everything else has had to take a back seat. On brief visits to the fry ponds, I've seen very few koi - perhaps the odd one in the margins if I spend enough time looking. 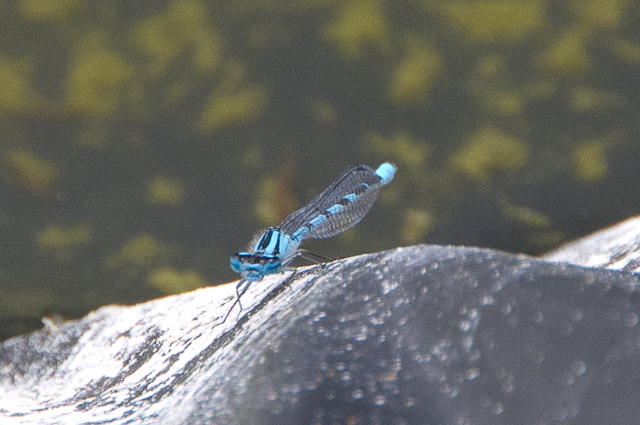 Amanda gives me updates during the week and this last week she's been seeing the kohaku's in small groups and when I went down there today, I saw them in groups of 10's in the pond margins. 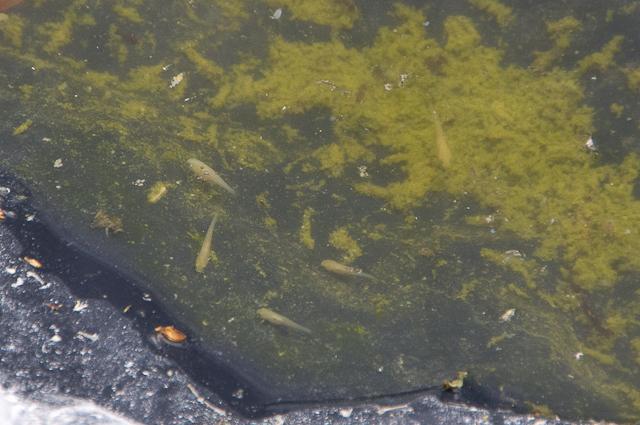 These fry are a day away from completing their 3rd week in the fry pond and they are around 1.5cm to 2cm long. Already I can see differences between them - body shape, colour. I can't make out pattern yet, but I don't expect that's long away. - leaving the water there and growing the kohaku's on outside. Saw several of these today around Chestnut pond. In Horseshoe pond there are still lots of insect larvae wiggling around but the shiros are elusive. I see the odd one if I look long enough. Just hope they are getting enough food and a reasonable number make it to first selection. It's a tense time on the project. Did you "seed" the pond with anything to provide food for the fry? Many people put chicken manure in three weeks before hand to encourage rotifers etc. I fertilised it with tomato fertiliser and chicken manure pellets. Had no idea how much to use, so just made a guess. Tried a slightly different mix for the other pond. Also added daphnia at the same time as the fry. Used around £20 pounds worth of fertiliser in each pond. Next time i may up it a little, and will probably increase the proportion of chicken manure to tomato fertiliser-planning to test that on my next spawning in around a months time.